I finally discovered what I was looking for in Brian Turner’s memoir, My Life as a Foreign Country. In this essay I discuss his memoir as an example of war writing that has the qualities I was searching for. And in the Writers’ Notes, I provide insight into what makes an exceptional war narrative. An award-winning poet who served seven years in the U. S. Army, Turner has written his memoir in 136 short vignettes that do not attempt to recreate his experiences but to understand them. This fragmented, non-linear representation of his insights into war are drawn from his own perspective as well as that of civilians and soldiers from present and past wars. He describes the ritual of Vietnamese soldiers who are washed before returning home from war and their warrior names replaced with their given names; the preparation of a female Iraqi suicide bomber for her chosen mission; the loneliness of exhausted American soldiers masturbating in showers “filled with lovers transported by their own touch”; and the continuing toll of war exemplified in the death of unsuspecting Dutch fishermen who pull up a World War Two bomb in their fishing net. Tim O’Brien, as well as other Vietnam War writers, were among the first war writers to humanize the enemy. In O’Brien’s “The Man I Killed” O’Brien is continually haunted by the image of the young Vietnamese soldier he killed. He tortures himself by fantasizing who this soldier might have been. “The man I killed” was possibly a mathematics scholar, O’Brien imagines, who dreamed of being a teacher. He wrote romantic poems at night and had fallen in love with a classmate who liked his quiet manner. Although he was not a fighter, “the man I killed” had been taught “that to defend the land was a man’s highest duty and highest privilege.” (p. 119) He had accepted this patriotic duty, but he hoped and prayed that the Americans would go away so that his bravery would not be tested, lest he disgrace his family and village. 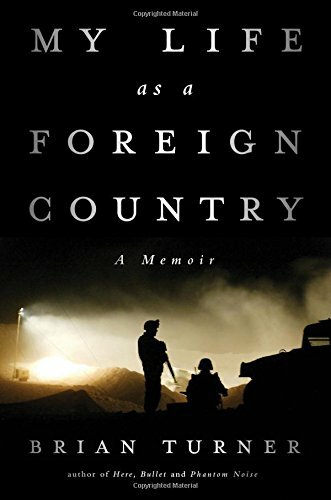 In his memoir, Turner empathizes with the Iraqi grandmother who demands $7 in compensation for her two chickens that were accidentally murdered with enemy fire; the family that is terrorized by soldiers ransacking their home, before the Americans discover they have the wrong address; and the traumatized children who have never known what is like to live in peace. Among his many reflections on wars past and present, Turner poses the question that continually haunts veterans: “How does anyone leave a war behind them, no matter what war it is, and somehow walk into the rest of his life?” (p. 154). Many veterans have written about their war experiences. In the United States several national writing projects have been started that encourage veterans to write as therapy to aid in the healing process. Have you been particularly affected by a war narrative?